This chapter has three purposes: first, to briefly outline corporate venturing as a sub-field in corporate entrepreneurship that recently has gained prominence in research on family-owned businesses (FOB); second, to highlight the missing social dimension in research on FOB that focuses on corporate venturing, conceptualize this added social dimension as corporate social venturing (CSV), and to empirically illustrate CSV with well-known Mexican FOB engaged in CSV; and third, to propose an agenda for researching CSV done by FOB. 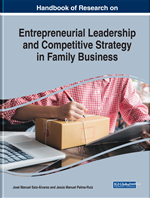 In this chapter, the authors, therefore, address the paradox mentioned above via a three-fold purpose: First, to briefly outline ‘corporate venturing’ (CV) as a sub-field within ‘corporate entrepreneurship’ that recently has gained prominence in research on FOB. Second, to highlight the lacking social dimension in research on FOB focused on CV, conceptualize this added social dimension of CV as ‘corporate social venturing’ (CSV) and to empirically illustrate CSV with well-known Mexican FOB engaging in CSV. Third, to propose an agenda for researching CSV by FOB. Figure 1 summarizes the funneling down on how each concept is connected to our three-fold approach (‘three steps’). The first and second steps are conceptual and empirical contributions upon which we will base our claims. The third step (based on but moving beyond the first and second steps) is a propositional contribution formulated as a model for future research in line with Claveau & Vergara Fernández (2015, p. 405) that analyze “the epistemic contributions of models by distinguishing three roles that they might play: an evidential role, a revealing role and a stimulating role”. Social Entrepreneur: An individual, team, group, company, or a family pursuing philanthropic actions and actions leading to improved social and societal conditions. Hybrid Organization: An organization pursuing a social mission and reaching financial objectives. Corporate Social Venturing: The process of pursuing an opportunity and creating a new hybrid organization, which serves as a vehicle to pursue a social mission and reach financial objectives. Corporate Venturing: The setting up of a new organization by established actors to perform existing businesses in new ways and to pursue new businesses with a new organization within or related to the existing organization. Internal Venture: A new organization created within an existing company. Family-Owned Business: A company in which the family owns the majority of shares, the family is involved in management and governance, and there is involvement of more than one generation in the business. External Venture: A new organization created outside the existing company.